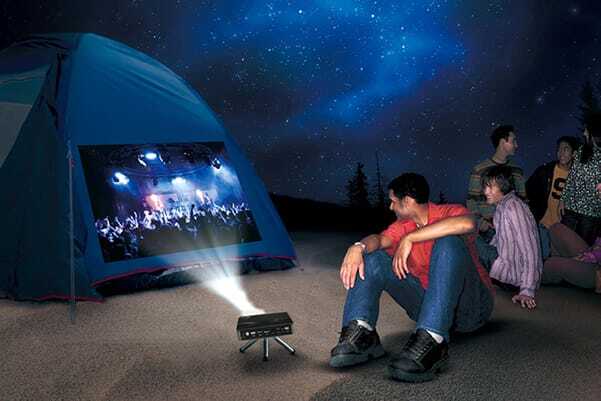 Completely battery operated or AC/DC powered outdoor cinema - great for camping & caravanning. Imagine watching a great movie by the camp fire with a refreshing drink with family and friends. In fact the HandiTheatre® Explorer is sure to bring you new friends! Now it is possible to have your own high quality outdoor cinema anywhere. 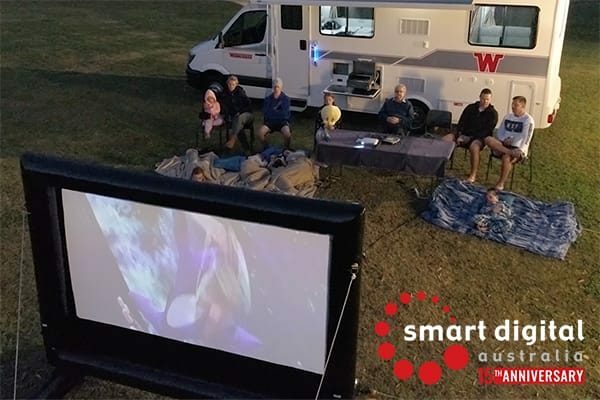 Imagine screening movies and other media at the camp or caravan site! HandiTheatre HS100 100” inflatable movie screen in a deluxe carry bag - or upgrade to the larger HS140 140" screen for $300. 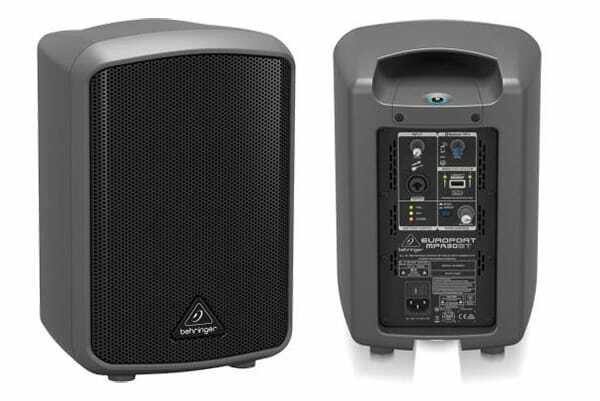 1 Behringer MPA30BT powered speaker. For that movie theatre experience add another speaker for only $485. Rechargeable blower for inflation and deflation. 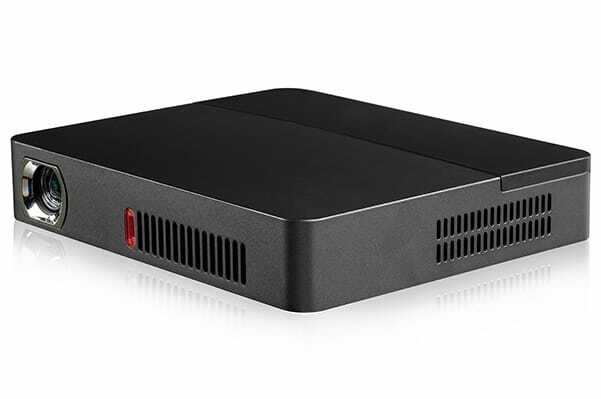 The brand new HandiTheatre® SD601 LED Projector features HDMI, USB and VGA inputs so that any modern media player, games console, DVD/Blu-ray player or computer can easily be connected. The lithium battery will power the projector for more than 2 hours in full brightness. 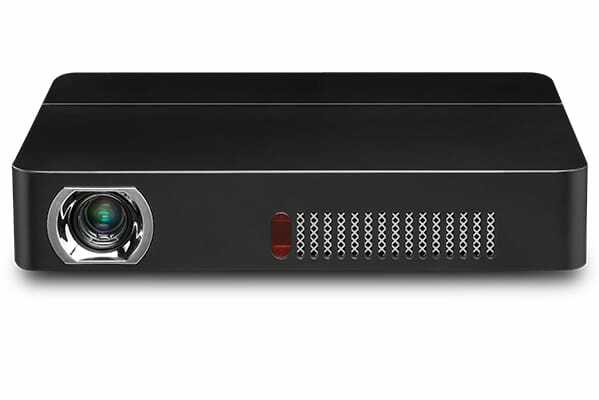 This tiny but unbelievably powerful projector measures just 175x145x31 mm. 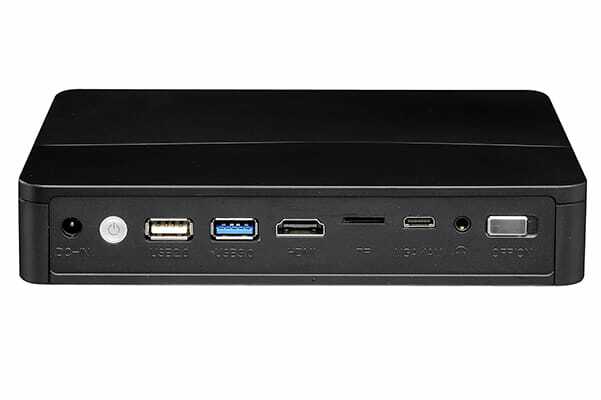 It is perfect for outdoor cinema, home theatre, office and educational establishments. The handitheatre® includes the HST100 100" portable inflatable outdoor screen. It is lightweight and comes complete with a rechargeable blower or air pump and when inflated the blower is turned off so there is no blower noise at all. It is just like an inflatable mattress. It comes in a nifty carry bag complete with tethers, pegs and repair kit. It takes one or two minutes to inflate. The Behringer MPA30BT Speaker provides magnificent sound quality to match the big screen entertainment, for a truly cinematic experience. The MPA30BT is a compact 30 watt, lithium battery powered speaker that provides an easy audio set up, so you can get straight to enjoying the movie. 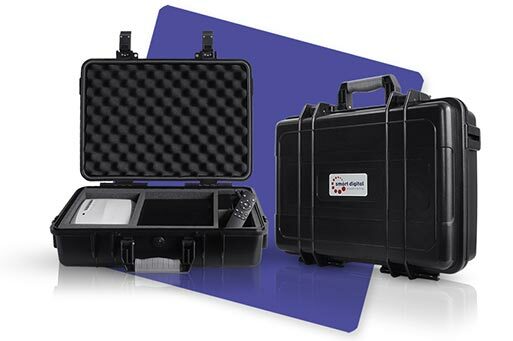 The Handi Carry Case holds your projector, cables, remotes, and additional media player, keeping everything safe and in its place. Great for transporting equipment as well as extended use for events and hire. Add to any HandiTheatre package for just $129.